So far, we have talked about the wide variety of impacts that climate change has on our environment, our health, and our economy. Dr. Malin Pinsky talked about how commercially fished species are moving poleward to adapt to climate change (read more in our post here). But if native fish are able to move in response to climate change, who’s to say that invasive species cannot do the same? 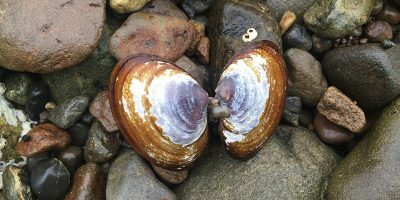 An invasive species, according to the National Invasive Species Information Center, is any species that is non-native to an ecosystem and whose introduction leads to negative impacts either on humans, the environment, or the economy. Many plants and animals frequently move past their native range. The chance of an exotic population becoming established is determined by what’s called propagule pressure. This basically means that if there is a high number of introduction events with many individuals, it is more likely that invaders can be established in new areas. 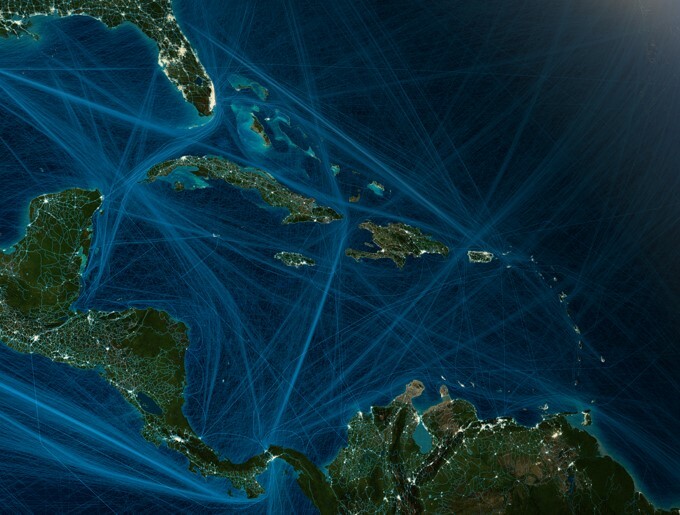 A map of Caribbean shipping routes, cities, and roads. Notice the lack of shipping by Cuba. Credit: Félix Pharand-Deschênes/Globaïa. One of the most important things to keep in mind is that humans have a huge impact on invasive species. With the extremely high frequency of shipping, whether it be by land, sea, or air, invaders are able to hitch rides across nations and oceans and have access to places they could never go to. In one of my classes called Our Global Environment, we talked about this article published in Conservation, which looks at anole lizards in the Caribbean. They saw that many of the islands shared numerous species of non-native anoles, but Cuba had none. Looking at the shipping lanes, it’s easy to tell why. The lack of ships coming to Cuba compared to other nearby islands demonstrates how much of an influence human activities like shipping can have on the spread of invasive species. 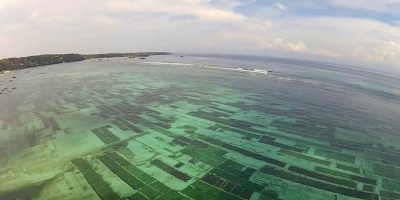 Are MPAs a refuge from invasive species? 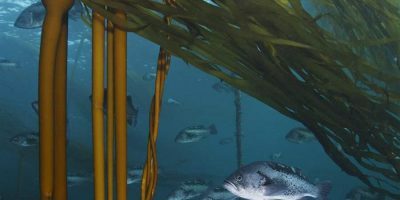 Recent research in Europe found that marine protected areas (MPAs) may not only protect the species they are intended to protect, but also protect from habitats invaders who don’t belong. They found that species richness will increase with climate change, but that species richness within MPAs will be lower than outside of them, meaning that there will not be as many invaders inside MPAs than out. They also suggest that because humans cannot interact with MPAs as much, the MPAs are actually more protected from invaders. However, this study only looked at European waters; what about the waters in the Caribbean, where the story might be a little different? 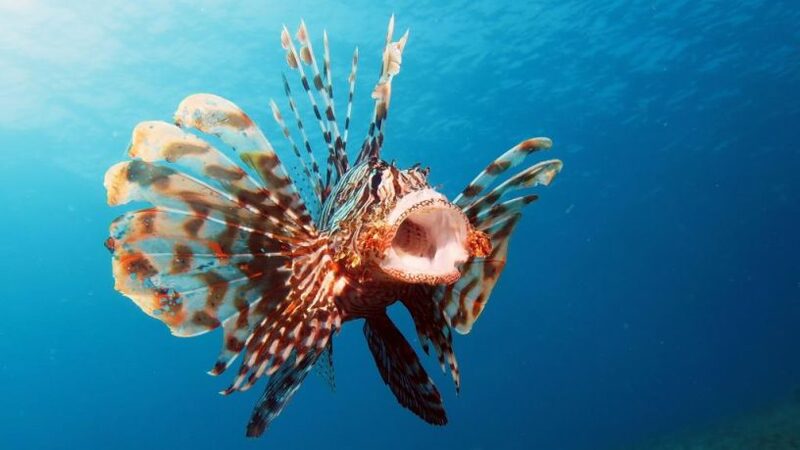 One of the most notorious invasive fish species is the lionfish. These fish are beautiful, making them popular for the pet trade, but are also venomous and voracious predatory fish. They have been ravaging the Caribbean for the past decade. How were they introduced? You shouldn’t be surprised when I tell you it was humans. They are thought to have been introduced by pet owners releasing them into the wild (which you should never, ever do). These lionfish have been documented consuming fish species that have never even been identified before. Crazy stuff! But what’s even more crazy is how quickly their populations are expanding. Once they were established, they were able to spread at an extremely rapid rate. A study found that there was a correlation between warming winter temperatures and an increase in lionfish range, pointing to how climate change directly influences where this fish can live and how far they can spread. Caribbean marine protected areas as of 2004 (left) compared to lionfish range in 2014 (right). Notice the overlap between MPAs and lionfish populations. Credit: Data Basin and California Diver. Comparing this to the location of MPAs in the Caribbean, we can see lots of overlap with the lionfish range. What if the MPAs we have created to save species like sea turtles or ecosystems like coral reefs have provided a sanctuary for lionfish to grow and eat? What’s the good in protecting target fishes from humans if lionfish are just going to gobble them up? I believe there needs to be more studies looking at this issue as well as an evaluation of the success of protecting the species we believe are most important to us. Overall, things seem a little scary. Lionfish are spreading out of control and we might be inadvertently protecting them. The ocean’s waters are irreversibly warming and our options for mitigating it are becoming narrower every year. But just like fish, we too must adapt and change. We must use these mistakes as a way to guide us to make better choices in the future. There is still much work to be done, but as we continue to educate ourselves and conduct more research, a new solution could be right around the corner. But always remember that with all of the negative light we put on invasive species, humans may not be that different from lionfish.